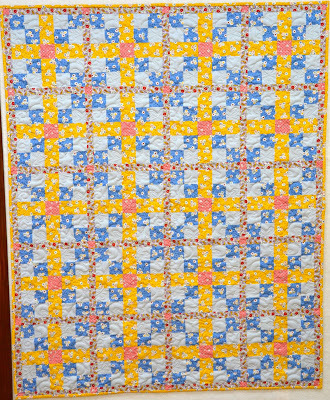 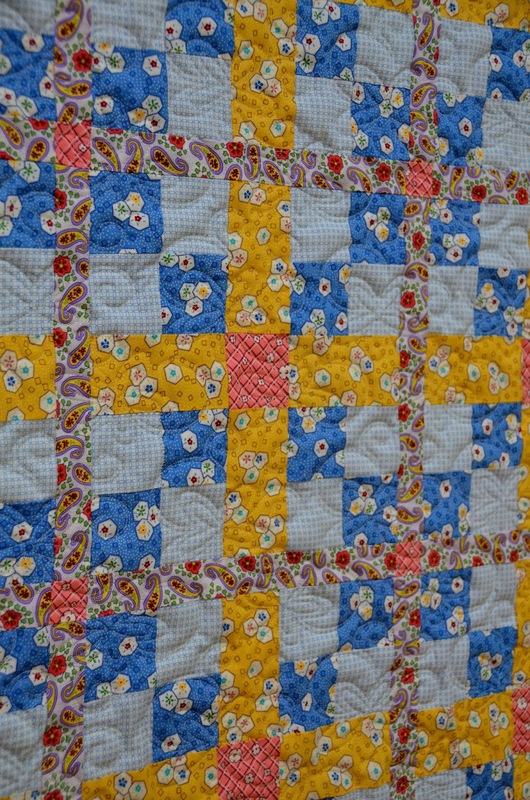 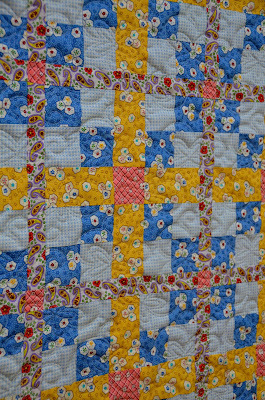 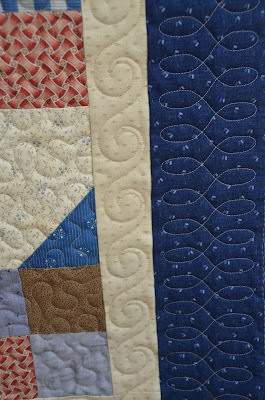 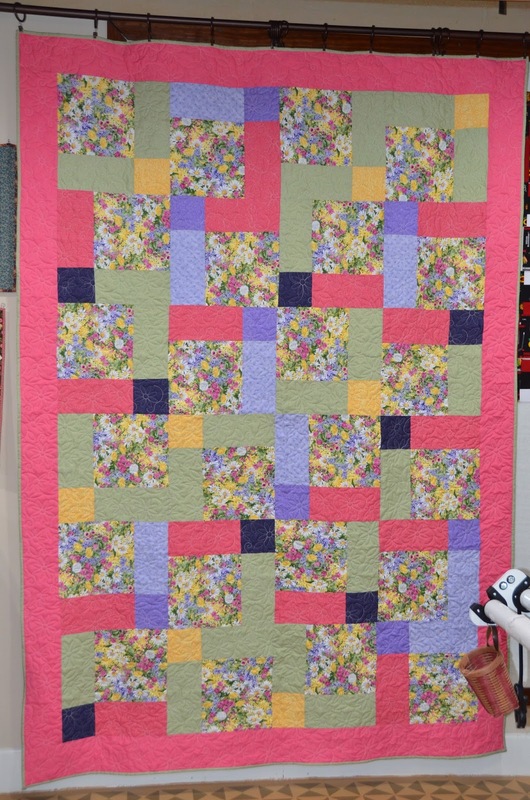 This child-size lap quilt is an example of a digital edge-to-edge quilting. 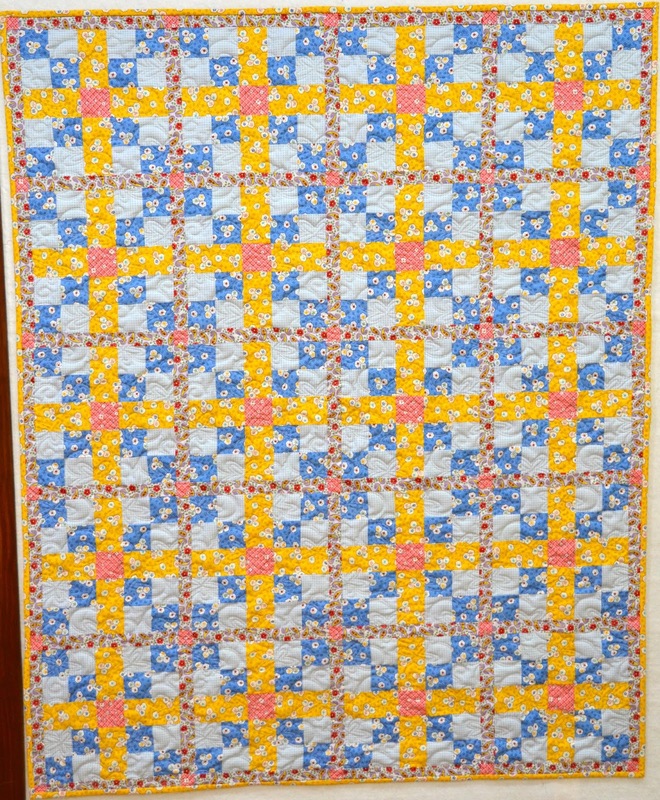 The quilt measures 44.5" x 56". 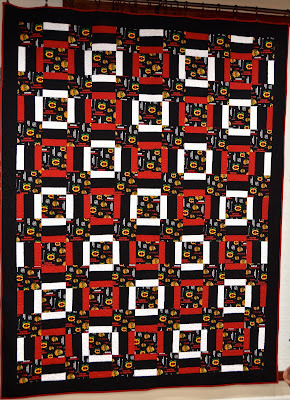 To calculate the cost for this quilt you would multiply to find the square inches (44.5 x 56 = 2,492) then multiply the square inches by the cost per inch. 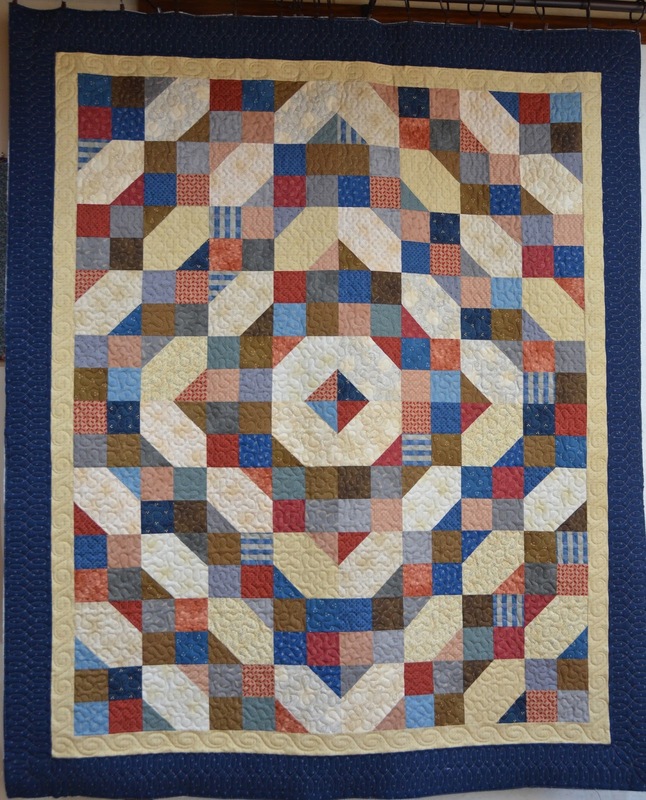 (2,492 x 0.02 = $49.84) In this case the minimum fee of $50 would apply if this were the only quilt you were having quilted. 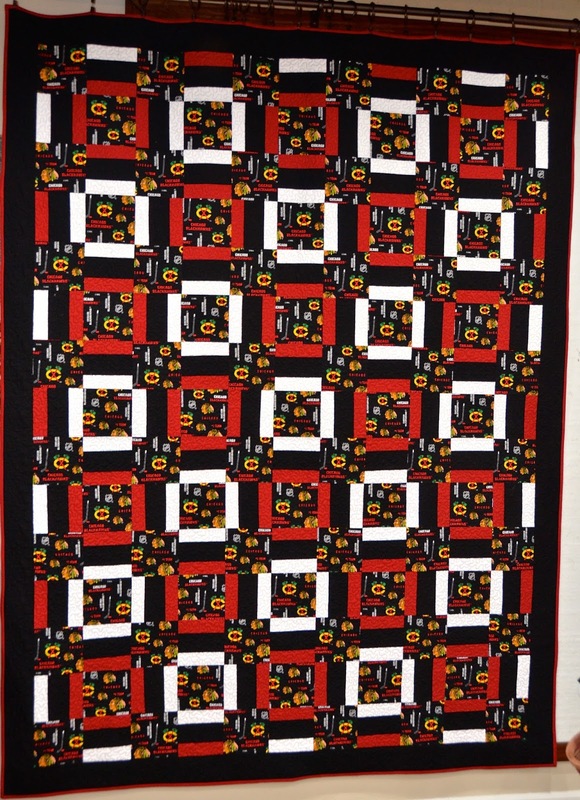 If you submit multiple quilts the minimum fee does not apply. 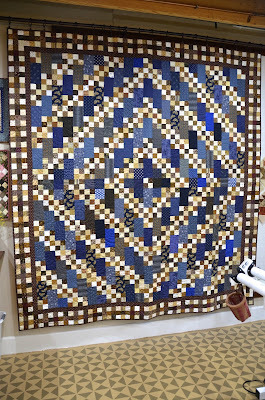 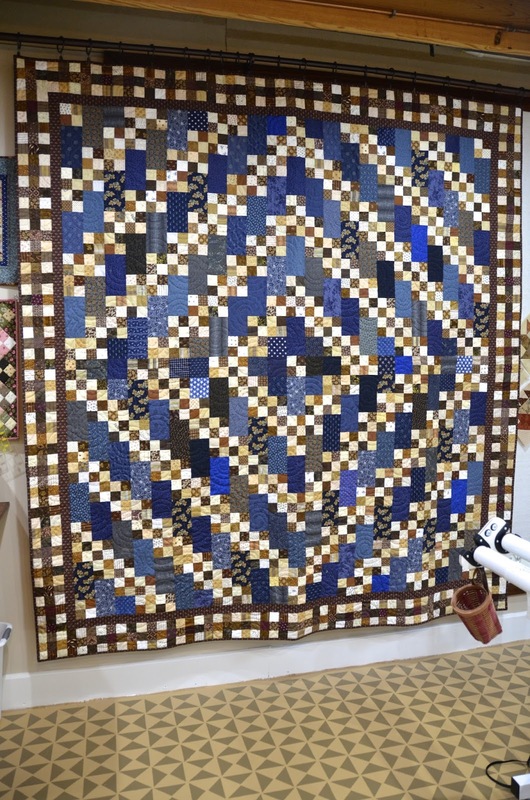 This throw-size quilt is an example of semi-custom digital quilting. Each border has a unique design.